For the first time in my life I went out for another island to snorkel. Coming along with the team of Tom Smith, after a week a medical mission, the team decided to have an outing escapade to a remote island in Biliran province. The location is a little far from Ormoc, about 2 and a half hours drive, you will reach Almeria, Naval. There you will see in a distant several isolated islands where you can have a beautiful site of underwater picture of mother nature. Wear socks and sea shoes to protect your feet from sharp sea shells that you will step on. Wear darker colors. Don’t wear red or some shark (if there is) might interpret it to be blood. Don’t wear white or the shark will interpret it to be belly of a big fish. A wonderful meal for them. Wear good snorkeling goggles to ensure you’ll enjoy your time. When snorkeling, just relax your body and let the buoyant force uplift you. This will help you not to become tired while having fun. Clear the breathing tube by giving a big blow out of your mouth. If you want to dive, take a deep breath so that you’ll have enough breath for going up. Be sure to give a big blow again to your breathing tube. Be sure to put on sun block lotion to avoid sunburn. Starfishes we caught but returned to the waters. For the first time in my life, I was able to swim for two hours straight, to swim in deep areas like swimming in water of 10-30 ft deep, and to see “aquarium material” fish live in open sea. I have seen ugly fish that is almost like a rock, so as the colorful fancy butterfly fish. Not to mention of finding Nemo and his father playing in one of the corals. The only difference is that I am seeing them live in an open sea. 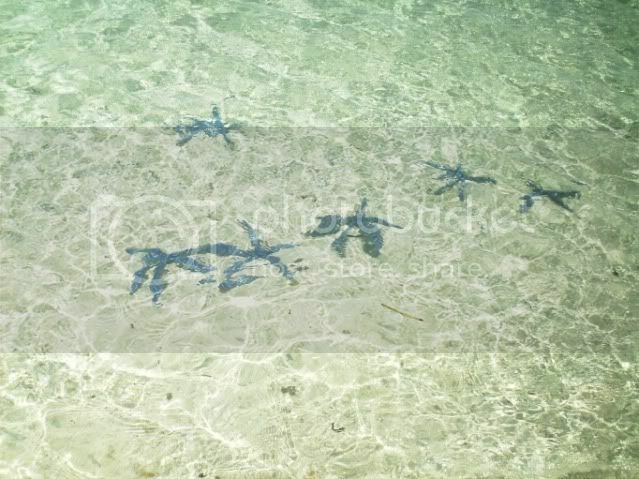 To describe how clear the water was, I included here in this post a picture of the starfishes in the beach. 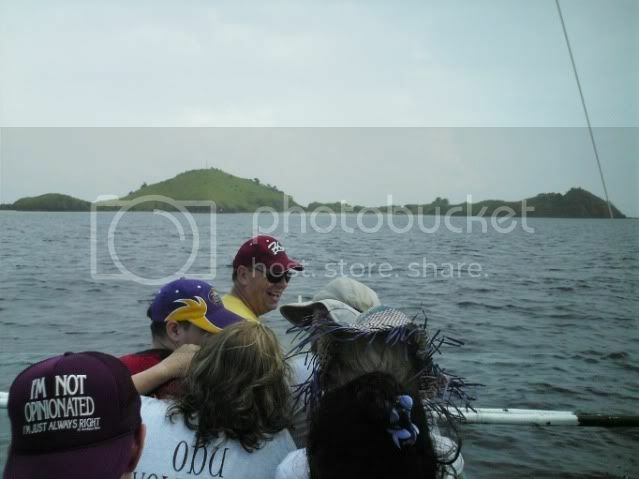 In one of the pictures, you’ll see me with K. Tom Smith, my very first snorkeling buddy. 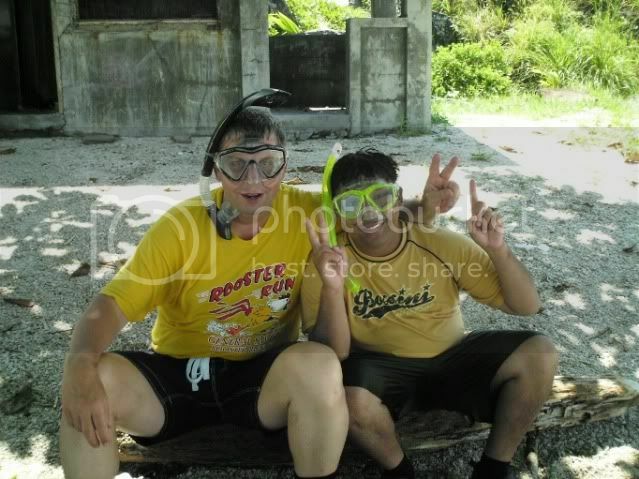 My first snorkeling buddy, K. Tom Smith. We've snorkel for 2 hours straight. After two hours, I already felt very tired and feel that I already have burned enough fats for the day. My legs are already aching and my arms are shivering. I think that’s enough exercise for the day. The only regret that I have was that I don’t have an underwater camera. The experience is unforgetable. Though I haven’t got any actual pictures of what I have seen, the picture of scenic underwater paradise is still very clear in my mind and will continue to share it to my son and my future children. For sure, I will be missing the small paradise, hiding beneath the waters. Really??? I haven’t tried parasilling yet. But I am afraid of heights. I am not really sure if I would enjoy that. I do not enjoy even Ferris wheel and other rides that’s too fast and too high. How much more if I will be lifted up with a few strings to hold me. Heheheh…. .-= Vince´s last blog ..When Small Is Big: The Impact of Love and Good Deeds at Work by J.P. Leo Castillo =-. Pastor Vince, that is the best picture of Kuya Tom I’ve ever seen!! :)) Thanks for ALL the pictures – they’re great. It looks like you had a great time! matutunaw talaga mga blubber and bilbils ninyo niyan!!!! !